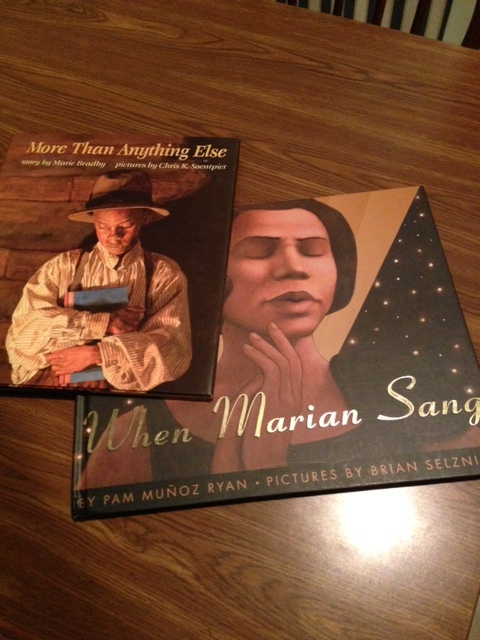 Picture Books are short and teach lessons within a tight time frame. No need to expand on this one — I have 45 minutes in a class period. The more I can cram in, the better. Why not cram in the good stuff — the stuff that teaches and engages students at the same time? 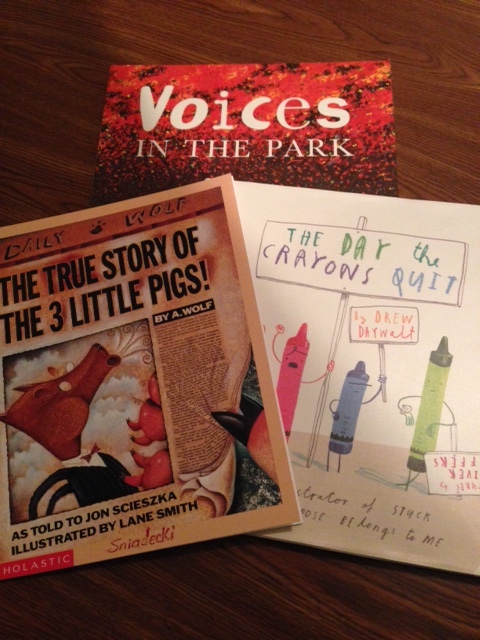 Picture Books are fun! Students enjoy listening and responding. Teachers enjoy sharing the love of reading in this simple manner. Baby books? Not anymore! 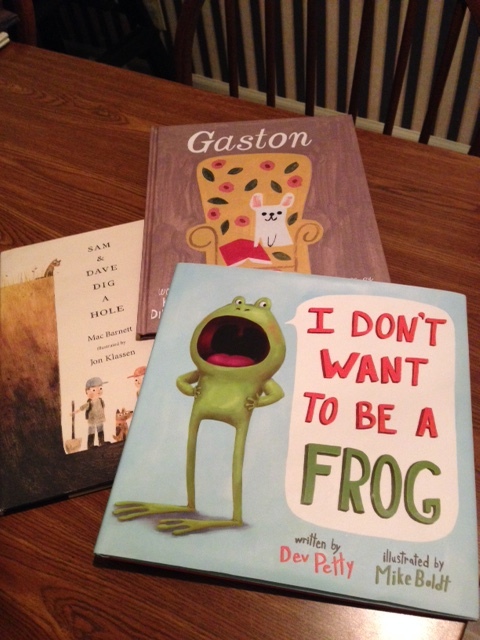 Perspective/Fitting In: Gaston (DiPucchio), I Don’t Want to Be a Frog (Petty). “Living Your Dreams/Finding What You Want in Life” is our current theme for our reading workshop assigned textbook. As you can see, picture books can be used in classrooms to create awesome opportunities for learning and loving reading. Have fun sharing your favorites! Love this post, Jennifer, and how you showed us the books that fit with your themes/units of study. I join your students in applause! 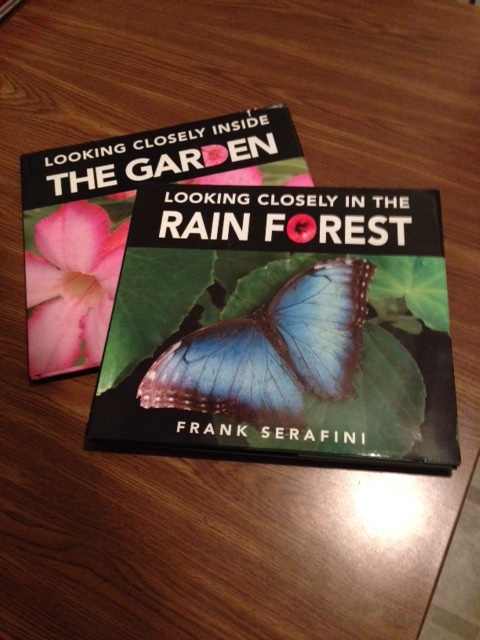 Beautiful books shared. If people don’t know or use picture books with their students of any age, they are missing some very good things, aren’t they? 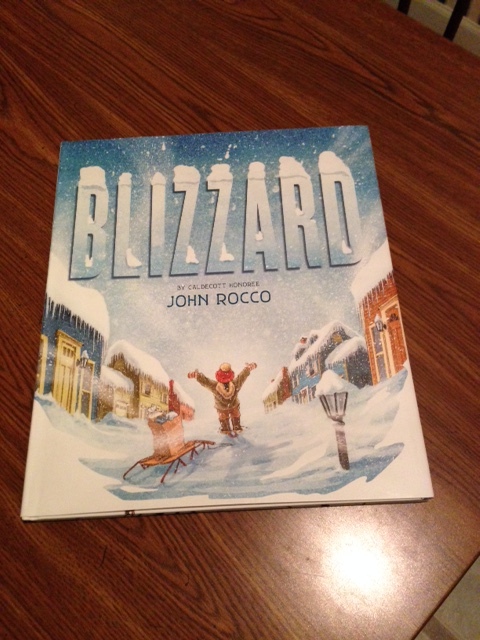 I just wish those who don’t think picture books belong in upper grades would try reading the to their students. I think they would be surprised by the kids. What great books you’ve shown! At least your students won’t miss out. Way to go Jennifer! Good words to read after a l-o-o-n-g day of PD where I wish this would have been said! Haha…just noticed my browser took me to an old page of Slice of Life…guess I needed to read this for encouragement!